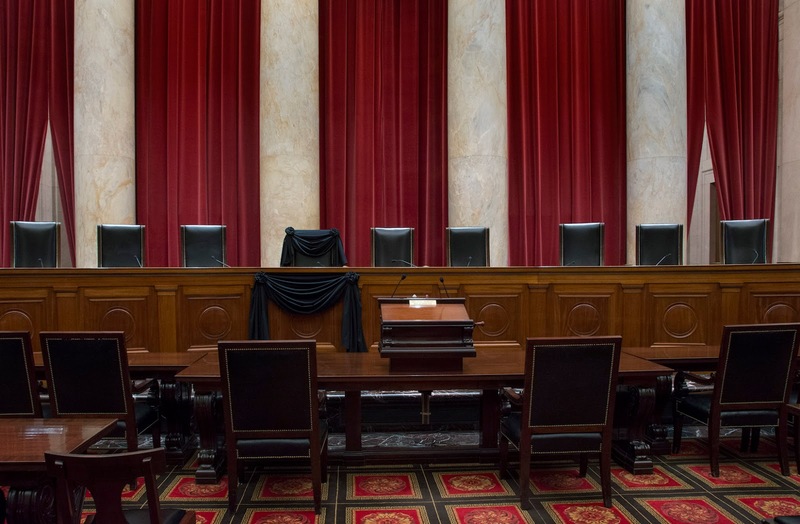 The raging controversy over filling the Supreme Court vacancy of Justice Antonin Scalia, whose tragic death unleashed a political firestorm over whether President Barack Obama should nominate his successor, or whether the next president should make the nomination, must be looked at in perspective. It is a true waste of time giving more than a bemused passing notice to the ranting of Democrats, who accuse the Republican-led Congress of all manner of wrong-doing in its opposition to a nomination by Obama, all the while hypocritically ignoring their own precedent-setting actions over the last 10 or so years, when they wrote the book on how to oppose Supreme Court nominations. This process is and has long been a political exercise. We expect Congress to be heavily political, and while the president belongs to a political party and is chosen through a political process, we expect the administrative agencies to apply regulations and laws in a fair, neutral, non-political manner. Judges at all levels are expected and presumed to be impartial in applying the law and are sworn to follow the precepts of the U.S. Constitution. They must resist allowing their personal ideals or political leanings to affect the rulings or opinions they produce. The Constitution created three co-equal branches of the government, therefore all branches must employ restraint in order to remain within their Constitutional boundaries. Posner excuses the tendency of judges to fall back on their personal and political beliefs because there is no clear instruction from the Constitution in situations the Framers could not have foreseen more than 200 years ago. Justice Scalia, however, had little trouble following the Constitution’s language when deciding his position on cases before the Court. Scalia, you see, was a “conservative” judge, an “originalist.” According to the Oxford Dictionaries “conservative” means: “Holding to traditional attitudes and values and cautious about change or innovation.” Applied to the federal judiciary, as viewed by believers in strict constructionism and originalism, the term means adhering to the meaning of the words in the U.S. Constitution and the Bill of Rights as they were understood by those who wrote those documents at the time they wrote them. “Judicial activism occurs when judges write subjective policy preferences into the law rather than apply the law impartially according to its original meaning,” according to a definition from the Heritage Foundation. “As such, activism does not mean the mere act of striking down a law,” it also means making law from the bench. But the Constitution gives Congress the authority and responsibility to make law, not the judicial or executive branches, and that plainly stated Constitutional principle is clear and unmistakable. Judges should consider things like whether Jefferson, Franklin, Madison and the others would have approved of the size, power or cost of the federal government, given the abuses that produced the Revolution and the deliberate efforts to restrict all of those features. Or, whether they would have allowed the Supreme Court or the executive branch to misappropriate the law making authority of the Congress. Making laws from the bench and judicial expansion are not products of judicial conservatives, whose adherence to original intent maintains a stable legal foundation. That is unpopular among judges who want to expand the authority and power of the courts. The Supreme Court must not reinterpret the Constitution. If what might prompt the activists to vote in favor of one side or the other in a case before the Court is something that is indeed a good thing for the country, and passes the standard of constitutionalism, then it must be sanctioned by an act of Congress, not the courts. The growth of activist judges argues for restoring judicial conservatism to the nation’s highest court. President Obama is unlikely to nominate such a person. Reports say that the list of potential nominees for the Scalia seat on the Court has been reduced to five, and four of them contributed to Obama campaigns.